Looking for a little peach of a boutique? Then think citrus, orange and fashion savvy Tangerine! 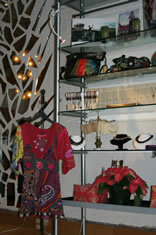 The boutique specializes in cute, interesting clothing, with funky accessories to match. 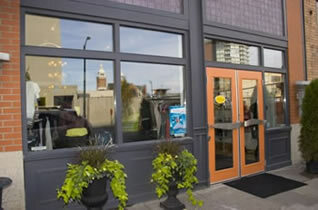 Located downtown Spokane on the street side level of what was once a much respected old building, the inside of this small, classy shop sports what the owners describe as an urban-industrial feel. 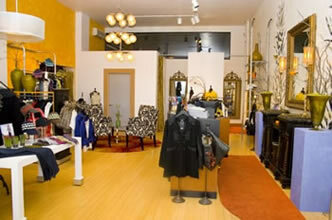 Tangerine glows with a wall painted the shop's namesake color, a design made from glass shards and large black and white chairs. It creates the perfect space to look for limited-edition clothing from designers around the world and the arty accessories to match. Carrying threads from vendors such as Skunkfunk, Kersh, City Lights and BB Dakota, Tangerine appeals to all ages and most budgets. 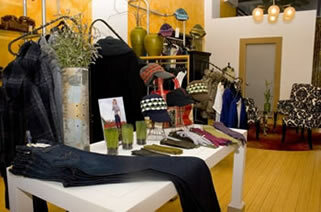 If your design is for denim then check out the assortment of DL 1961 Jeans, located only at Tangerine. If you want a quality product that is fun, but serious enough to make a statement, Red Engine Denim provides a great fit for all types of bodies, while still maintaining attention to the highest quality of European fabrics. 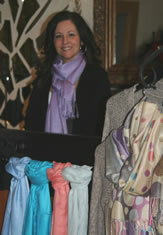 Purses, jewelry and a nice selection of scarves round out the offerings and polish off any outfit with a great look. 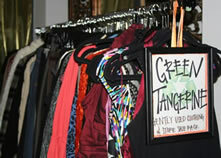 A “green tangerine” rack is worth a look at the back of the store. Gently used items can be had at some unbelievable bargain prices. Whether you’re looking for outfits with class or something with more of a funky feel, Tangerine has affordable fashions that satisfy the personal style of women of any age. 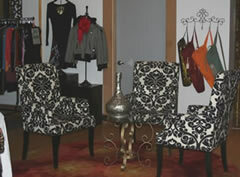 The staff is attentive, fashion knowledgeable and ready to wrap you in service and style. Add a fresh citrus spark to your wardrobe and by taking a peek into Tangerine!